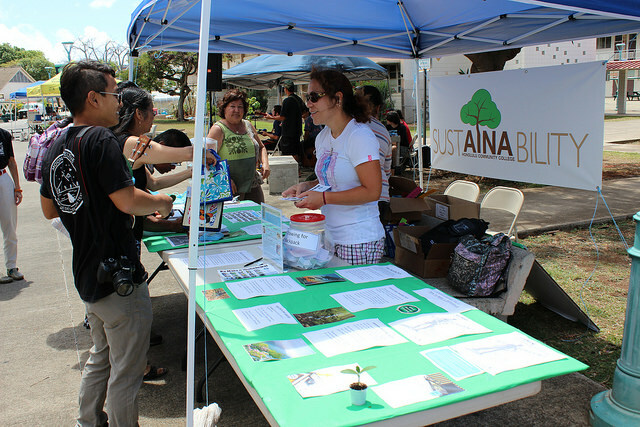 Honolulu Community College is celebrating Earth Day a week early with two campus events. On Tuesday, April 12 the campus will be hosting a Sustainability Showcase on the campus mall from 9:00 a.m. to 1:00 p.m. There will be free giveaways, arts and crafts, plant cuttings, a Trash to Treasure contest, eco-friendly demos and live music will be provided by the Music and Entertainment Learning Experience program. Information will be shared by the Polynesian Voyaging Society, Johnson Controls, student clubs, as well as demonstrations of electric car technology, and community members displaying solar light display, water filter and aquaponics technologies. There will also guided tours of Mr. Phil’s beautiful Building 27 garden project! It’s been five years since the start of Honolulu Community College’s Ka Māla o Niuhelewai (The garden of Niuhelewai) and the kalo (taro) is ready for harvest. Every April the campus celebrates the māla with a campus celebration that will be held on Wednesday, April 13 from 10:30 a.m.– 12:30 p.m. Event participants will enjoy food prepared in the imu, poi pounding, Hawaiian games and activities, and live Hawaiian music. 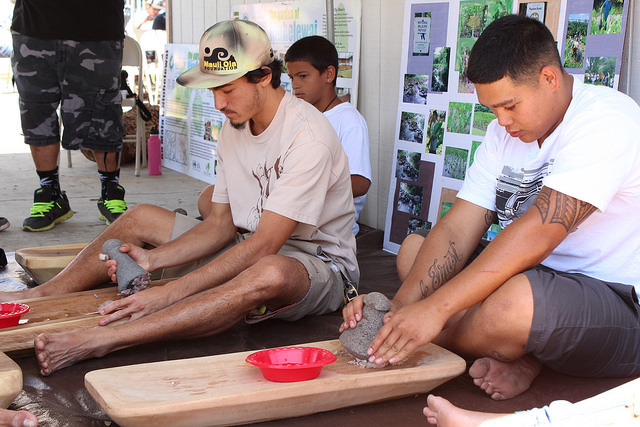 Ka Māla o Niuhelewai has received the Scenic Hawaiʻi Betty Crocker Landscape Award for Xeriscape in 2012, and most recently, the Honolulu Community College Sustainability Award at the 2014 Hawaiʻi Sustainability in Higher Education Summit. Since 2011, 20 Hawaiian varieties of kalo have been planted and the campus received a $25,000 grant from the Office of Hawaiian Affairs to plant Hawaiian varieties of kalo in a dry land māla. “Ka Māla o Niuhelewai, has been an instrumental hands-on venue for students, faculty, staff and the community in supporting the Hawaiian understanding of sustainable mālama ʻāina application for producing food for Hawaiʻi,” shares Mark Alapaki Luke, a Hawaiian studies instructor. 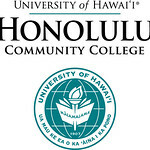 Honolulu Community College has made tremendous strides to increase its commitment to sustainability through educational offerings and campus operations. More information can be found on the campus’s sustainability webpage http://www.honolulu.hawaii.edu/sustainability.